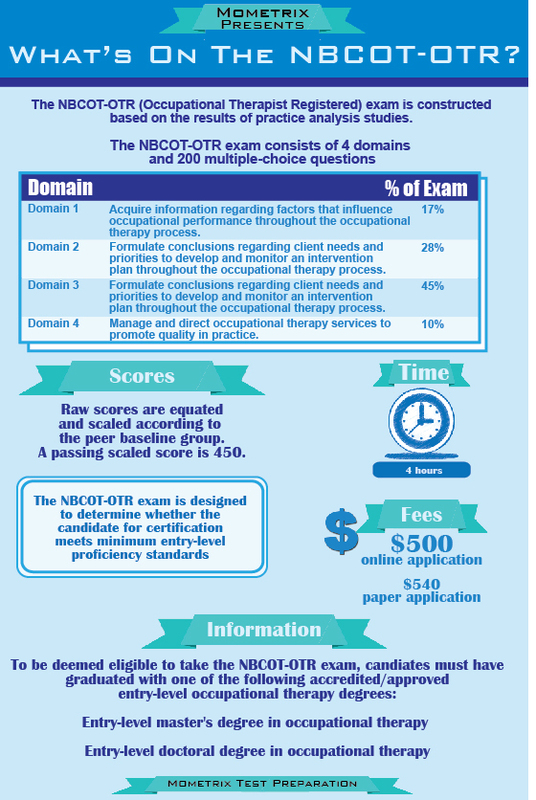 The National Board for Certification in Occupational Therapy, Inc. (NBCOT) offers the Occupational Therapist Registered (NBCOT-OTR) examination for certification and licensing purposes. Before a candidate can take this test, he or she must have successfully completed an accredited academic program for occupational therapy, finished the necessary experience obligations, turned in an application and gotten the go-ahead from NBCOT for the test, provided documentation from a school registrar regarding the candidate’s eligibility and signed the code of conduct. The criterion-referenced test is computer-based. At the beginning of the test, the candidate will have 15 minutes to finish a tutorial about taking this examination. This time is not counted towards the total time of 4 hours for the whole test. The exam has 200 multiple-choice questions in all. Of these, 30 questions are pre-trial questions and will be used on future exams. The rest of the questions will be totaled for the raw score. Candidates can flag questions as they go and return later to any questions for review or alteration. Candidates can go back and change answers as many times as they want, as long as time remains. If a candidate leaves a question unanswered, it will not count towards the score. The candidate’s raw score will be converted to a final scaled score which will be in the 300-600 range. The minimum passing score is 450. If the candidate passes, he or she will get the score, a certificate and a wallet card. If unsuccessful, the candidate must wait 45 days before taking the test again. How to PASS the NBCOT-OTR Exam! An occupational therapist is assessing a patient in an acute care setting. The patient has the following signs: weak pulse, quick respiration, acetone breath, and nausea. Which of the following conditions is most likely occurring? An occupational therapist is making discharge recommendations to patient that has recently been diagnosed with COPD, Arthritis, and an Anxiety disorder. Which of the following recommendations would be the most helpful for the patient to take their medicine correctly? A chart that will have the pills and times broken down in the bathroom. A pill container that has different time slots. A brightly colored pill container to avoid getting lost. Easy access tops on the medication and large labels on the containers. An occupational therapist is returning phone calls in a pediatric clinic. Which of the following reports most requires the occupational therapist’s immediate attention and phone call? An 8 year-old boy has been vomiting and appears to have slower movements and has a history of an atrio-ventricular shunt placement. A 10 year-old girl feels a dull pain in her abdomen after doing sit-ups in gym class. A 7 year-old boy has been having a low fever and headache for the past 3 days that has history of an anterior hand wound. A 7 year-old girl that had a cast on her right wrist is complaining of itching. Which of the following recommendations would be the most helpful for someone who has right hemiplegia and is going to a driving program offered by occupational therapy? (B) All of the clinical signs indicate a hyperglycemic condition. (B) The time slots and daily container would be the best recommendation in this case. (A) The shunt may be blocked and require immediate medical attention. (D) The spinner knob is your best recommendation given these parameters. * NBCOT® is a registered trademark of the National Board for Certification in Occupational Therapy, who does not endorse, nor is affiliated in any way with the owner or any content of this web site. 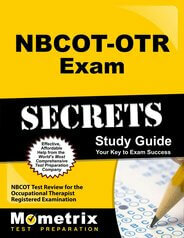 Ace the NBCOT-OTR test using our NBCOT-OTR exam study guide with practice questions. 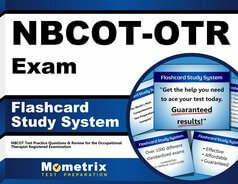 Quickly Solve Difficult NBCOT-OTR Test Questions with the NBCOT-OTR Flashcard Study System.